A brand new pair of Nike Kobe 9s that will be in stores next January. 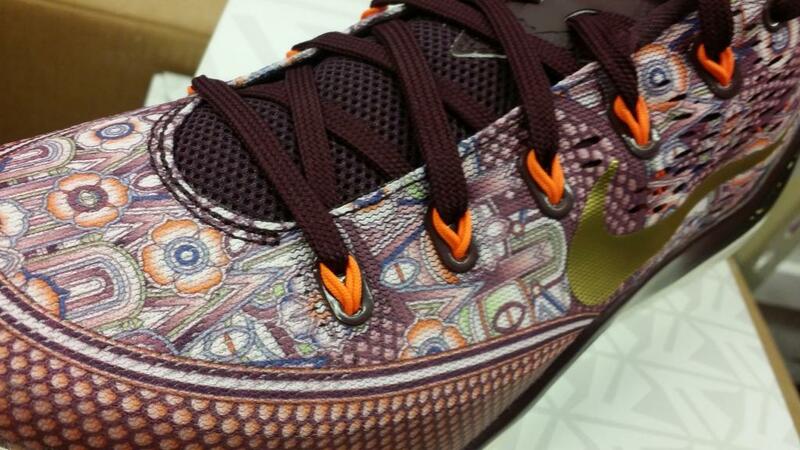 The most graphic pair of Kobe 9s is yet to come. The Nike Kobe 9 EM shown here in villain red, bright crimson, and gold is scheduled to release on January 3rd, 2015. The red and gold combination has often been associated with Chinese New Year sneakers in the past, but that won't happen until February 19th next year, so it seems like a stretch to guess that this is that pair. Then again, Nike will obviously be busy with All Star Game releases at around that time, so maybe they're getting Kobe's CNY entry in early this year.